Whether it is fall, winter, or spring, when the heating system in your Greenfield home breaks down, it can be a major inconvenience, disrupting your schedule and reducing your comfort. If you do not have an established relationship with an HVAC company you can count on, it could take longer to have your system fixed. For fast, reliable repairs, contact our team at Service Plus Heating, Cooling & Plumbing. We offer comprehensive repair services for furnaces, heat pumps, ductless systems, boilers, and more, and we serve homeowners throughout the Greenfield area. Whether you live near State Street, Broadway, or McKenzie Road, our talented HVAC professionals can arrive quickly and provide fast diagnosis and repair services. Contact Service Plus today at 317-434-2627 for heating repairs anywhere in Greenfield! At Service Plus, we can repair all these problems, and more. 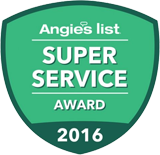 We will inspect your system, discuss your options, and offer the best solutions for your situation and your budget. For repairs in the Greenfield area, contact our team today! We also install and repair humidifiers, air cleaners, zoning systems, and programmable thermostats, and we offer complete maintenance and replacement services for heating and cooling equipment. Contact us today to learn more about our services for homeowners in Greenfield and Hancock County. Whether you need a few simple repairs, some routine maintenance, or a completely new heating system, our team at Service Plus can help with all your heating needs. We also offer complete air conditioning, plumbing, and indoor air quality services in Greenfield, as well as the surrounding communities of Hancock County.